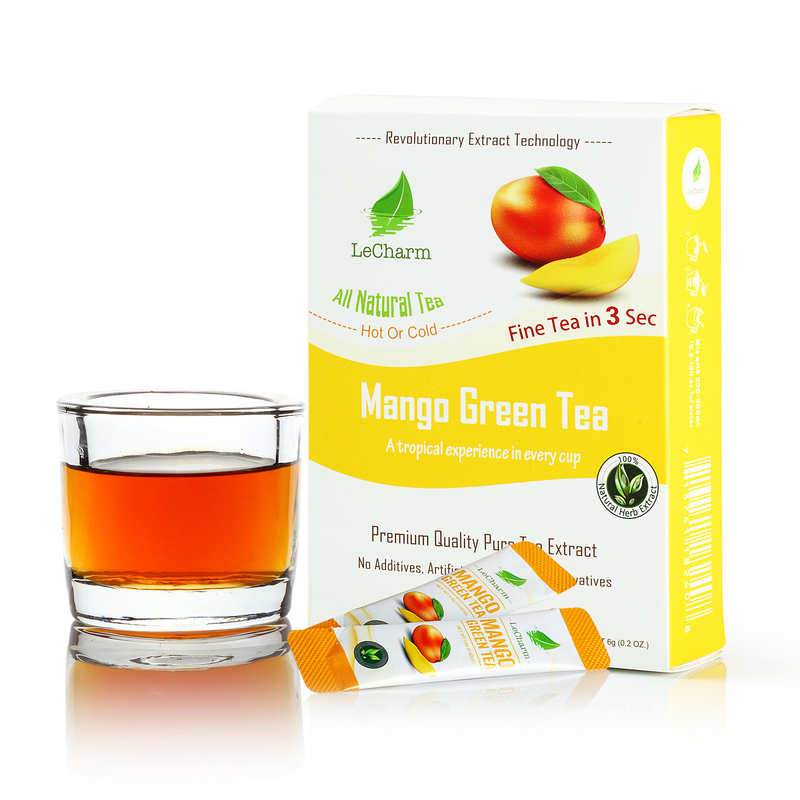 Mango Green Tea fills you with a sense of the tropics. It is able to bring out visions of oceans and jungles with the unmistakable aroma of mangos. Enjoy the experience like a vacation in liquid form. 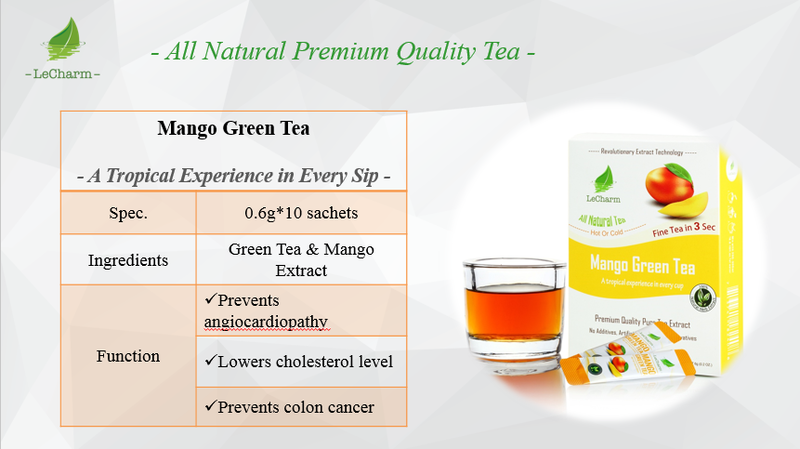 The tangy hint of mango comes with every mouthful, and this wonderful fruit’s health benefits are enhanced by the beverage’s lack of sugar. 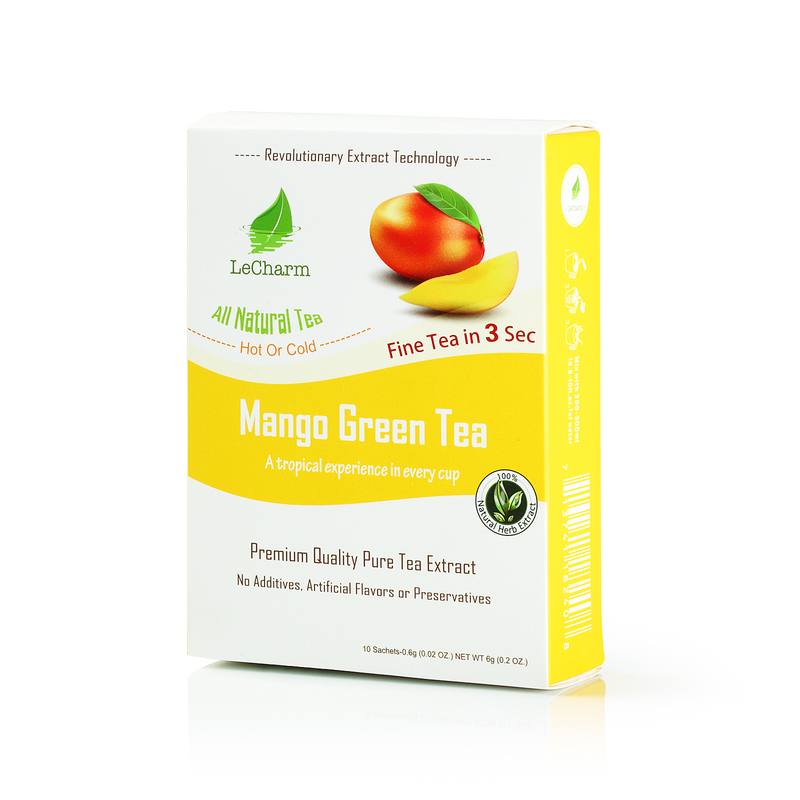 You’ll be able to experience the mango fruit’s ability to smoothen and clear your skin. The tea sachet only contains ingredients that are going to dissolve completely in cold or hot the water. There are not any wet tea bags to throw away either. This is something that helps to keep the preparation much easier while on-the-go. With it feels tranquil, like a walk in the park, and each breath vitalizes a tired body. I love the mango flavor green tea. I am not a fan of drinking water, and the mango flavor gives it the perfect touch. Perfect for work when you don’t want to make a mess with tea bags or tea leaves.